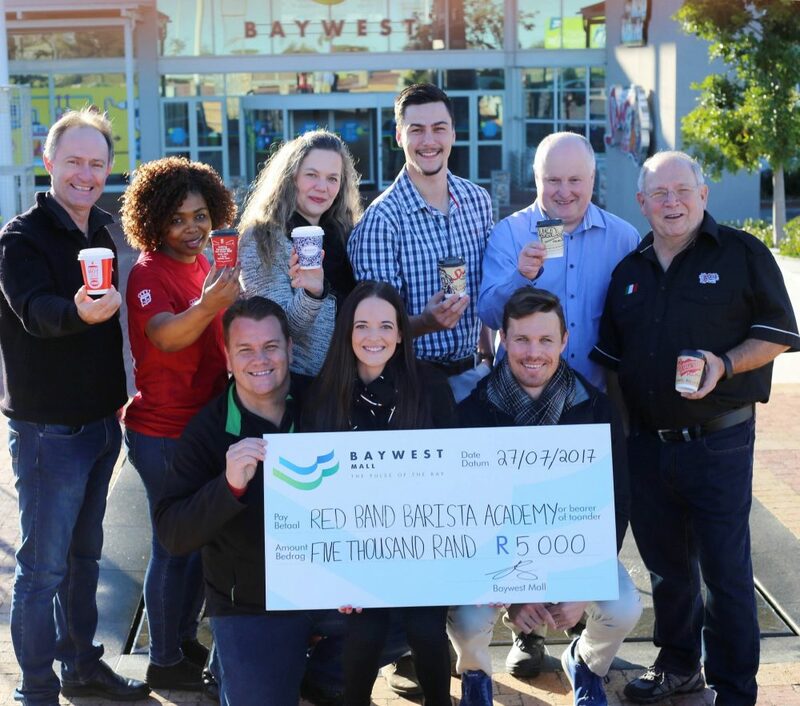 CAFFEINE FIX: Baywest Mall tenants gave the Red Band Barista Academy a caffeine boost with the proceeds from their Mandela Day initiative. Accepting the cheque from Baywest Mall marketing manager Lindsay Steele (front row, centre) are academy representatives Shaun Aupiais (left) and Ryan le Roux (right). Saying cheers to the donation are (back row, from left) Wayne Dewing (Wimpy), Amanda Mangaliso (vida e caffè), Ilse Cole (Melissa’s), Tom Liebenberg (Biloxi Spur), Dean Schulze (John Dory’s) and Tom Patterson (Panarottis). (Port Elizabeth) – More unemployed Nelson Mandela Bay residents could find a future in coffee after the Red Band Barista Academy received a caffeine boost from Baywest Mall this week. On Thursday, representatives from six of the mall’s restaurants and coffee shops handed over the proceeds from their Mandela Day promotion to the academy, which trains people who have never had a job to serve “restaurant-grade latté art”. According to the Leva Foundation, which runs the academy, almost 80 baristas have been trained to date, with 90% of them going on to find gainful employment – some at Baywest Mall coffee shops. The participating tenants – Melissa’s, vida e caffè, Wimpy, John Dory’s, Panarottis and Biloxi Spur – donated the cost of a cup of coffee for every two coffees sold on Mandela Day. 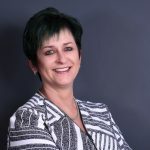 Baywest Mall marketing manager Lindsay Steele said more than 200 cups of coffee had been sold on the day, raising a total of R5,000 for the academy.